Tammy's Spot: Happy Father's Day! A great card for all the dad's out there! Love the 'stash' and pop of yellow. CUTE card! Such a stylish card and I love the sentiment. Such an elegant card. I like the black and white and that splash of yellow. 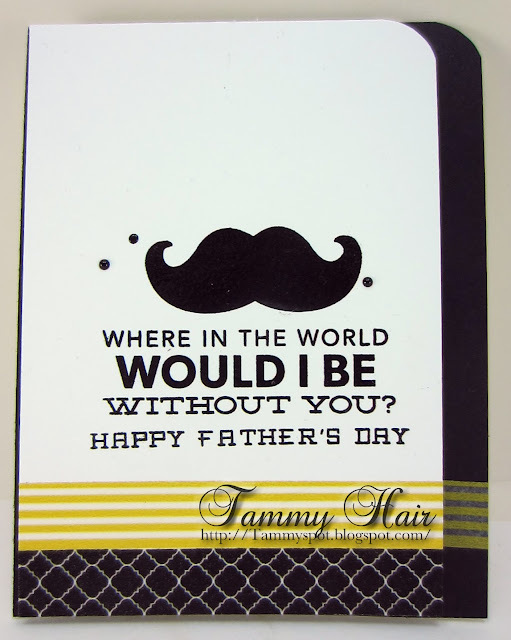 Such a fabulous sentiment for this wonderful Father's Day card, Tammy! Super card for Father's Day, Tammy! I love the image & the washi tape! Lol....that's a very poignant point....great sentiment and image for a Father's Day card.